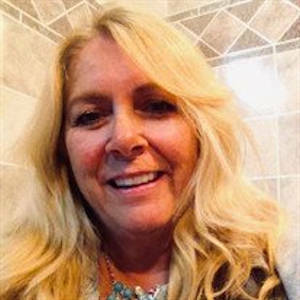 Obituary – Bower, Evelyn Merline (Gile) « Perry High School Alumni Association, Inc.
Eve M. Bower, age 65, of Grove, OK passed away unexpectedly on Thursday, January 24, 2019 at Freeman Hospital in Joplin, MO after battling pneumonia. Eve was born on February 4, 1953 to Clifford and JoEllen (Quance) Gile in Oklahoma City, OK. She grew up in Perry, OK and graduated from Perry High School in 1971. On March 27, 1976 she married her high school sweetheart and love of her life, Jack Bower, in Perry, OK where the couple made their home. In 1993, the couple moved to Grove. Eve adored animals of all kinds and at one time had a pet store and also worked grooming pets. Her dogs, Ruger and Landy, were canine companions as well as assortment of other pets over the years. Most recently, she was the manager of Garden Walk Apartments in Grove. Eve had a flair for design and enjoyed crafting and decorating, especially for the holidays. 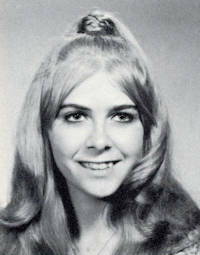 Her favorite pastimes were spending time with her “boys”, driving her Mustang and routing for the Dallas and OSU Cowboys. Eve was a member of the Delaware Baptist Church. No doubt, Eve had a stubborn streak, but she will be remembered as a loving and generous wife, mom, grandma and friend. She took pride in making and buying special gifts for friends and family and helping people any way that she could. Eve was preceded in death by her parents, 1 brother and special cousin, Terry Smith. Left to cherish her memory: husband, Jack Bower of the home, son Travis Bower, daughter-in-law Abigail Bower and grandson Coulter Bower, all of McKinney, TX. Visitation for friends and family will be from 6-8pm Sunday, January 27 at Nichols-Stephens Funeral Service. Funeral services will be at 11am Monday, January 28, 2019 at Nichols-Stephens Funeral Chapel. Donations may be made to Grove Humane Society or Delaware Baptist Church in Eve’s memory.